Borisov also argued that military actions or installing missiles in the Black Sea region cannot be allowed either. Instead, there should be opportunities for the development of natural gas and oil extraction, tourism, fishing, and trade. The Bulgarian official explained that missiles, warships, and submarines deployed in the Black Sea would not bring anything positive to neighboring nations. Boyko Borisov argued that the plan has already been presented to state leaders who have visited the country, and this will be discussed later with counterparts from European countries. The prime minister said that an increase in military presence by one party leads to reciprocal actions on the other. For this reason, it is recommended that countries in the region seek to build bridges of cooperation to the detriment of conflict. In fact, not one country in the Black Sea, except Bulgaria and Romania, which practically does not have combat-capable fleets in the Black Sea, will benefit from such a radical solution. The Russian Black Sea Fleet is the only combat naval group it has at the south. Turkey having a combat fleet at the Sea broadens its zone of geopolitical influence, which is unlikely to be fulfilled. But this statement was made not for the plan to be fulfilled, but to designate the Bulgarian position on NATO’s plan on further militarization of the region. Such a statement comes in contradiction to NATO’s plans to strengthen its military presence in the Black Sea and shows that Bulgaria is ready to enter a game between NATO and Russia. 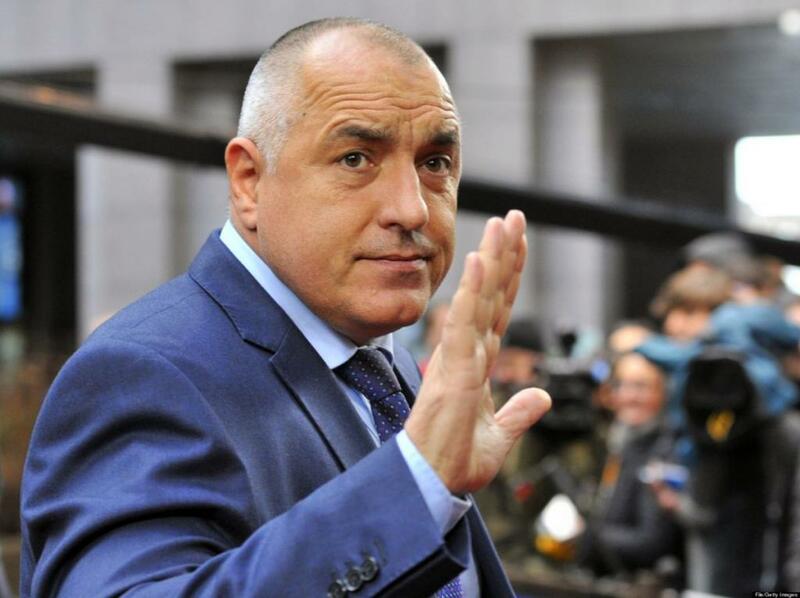 Borisov made the comments during a visit to a Bulgarian village, while an official delegation led by Bulgarian President Rossen Plevneliev attended the NATO summit in the Polish capital, reported Mediafax. Bulgarian Prime Minister, who recently declared that he seeks the easing of tensions and the normalization of relations between his country - a member of NATO and the EU - and Russia, was asked to comment on EU leaders’ calls for further sanctions against Russia. "Well, if that's what they want, it (sanctions) will continue. We lose a lot of money on agriculture," said the Bulgarian Prime Minister. In 2015, Bulgaria suffered losses amounting to €80m due to the Russian countermeasures. The country is not interested in being drawn into a new conflict with Russia, which has close religious and ethnical ties with Bulgaria. Recently, Bulgaria had a confused reaction to the proposal of a permanent NATO naval presence in the Black Sea of Romania, and Turkey initially supported the initiative, but the authorities in Sofia have distanced themselves from this initiative, although initially it appeared favorable. Then, Turkey dropped this plan aiming at rapprochement with Russia. "I have always said that we are a peaceful country. I do not want the Black Sea to become an area of ​​military conflict," Borisov said at the time, renouncing the idea of a joint NATO flotilla in Black Sea according to the Montreux convention, which bans the permanent presence of military vessels of non-Black Sea countries in the region. They can only be formed from fleets of Bulgaria, Romania, and Turkey. Borisov's statement comes amid the NATO leaders approving an expansion of allied military presence in the Black Sea. A final decision will be made at a summit scheduled for October. We will also develop tailored forward presence in the southeast part of the Alliance territory. Appropriate measures, tailored to the Black Sea region and including the Romanian initiative to establish a multinational framework brigade to help improve integrated training of Allied units under Headquarters Multinational Division Southeast, will contribute to the Alliance’s strengthened deterrence and defence posture, situational awareness, and peacetime demonstration of NATO’s intent to operate without constraint. It will also provide a strong signal of support to regional security. Options for a strengthened NATO air and maritime presence will be assessed. This does not mean in any way, and no one is commenting the topic by using the word flotilla, which I hope we have long forgotten… There is no such thing and there will not be such a thing, he stressed. The contradiction between Romania and Bulgaria on security on the Black Sea will affect the activity of joint Romanian-Bulgarian multinational brigade to be established according to the resolution of Warsaw NATO summit. In April 2016, Gallop published a study surveying public opinion across Eastern Europe on perceptions of national security threats. Russia was not considered a threat to national security in Bulgaria, contrary to Romania, where NATO warmongering propaganda made 52% consider Russia as a primary threat to national security, even if Russia did not show any particular interest towards to Romania. The demarche of the Bulgarian prime minister shows that the USA and NATO less control the political elites in this country than Romanian once. They prefer the strategy of a two-sided game aiming to receive preferences both from the US and Russia. It was Borisov who actually ruined all Bulgarian-Russian joint projects, including South Stream and propelled the military partnership (including bases) with the US. If such a player is opposed to NATO’s plans, it says a lot about their suicidal under text. On the other hand, recent reconciliation between Russia and Turkey may influence the change of behavior of the Bulgarian leadership (or at least part of it represented by the Prime-minister), because of huge Turkish influence in the country. That sign will be undoubtedly seen by the Russian authorities.